The International Braille Chess Association (IBCA) conducts Chess Olympiad for the Visually Impaired once every four years. The 14th IBCA Chess Olympiad 2012 was hosted by India. The All India Chess Federation for the Blind (AICFB) organized this event, which was held during 9th to 19th August 2012 at Hotel Le Royal Meridien, Chennai. Twenty-four countries participated in an event which is suppose to be the highest chess tournament globally. It was a prestigious project for us and we at ALISH3 were proud to be associated with AICFB in organizing this mega event. 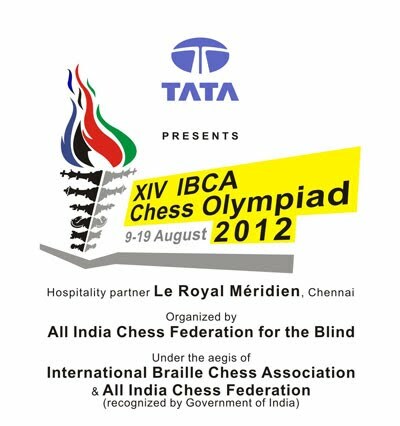 On behalf of All India Ches Federation for the Blind, I would like to thank you and appreciate for your efforts towards the Branding of the 14th IBCA Chess Olympiad 2012. The Brand Identity elements designed by you and your team has been highly appreciated by the committee, associates and many delegates from other countries. You and your creative agency, ALISH3 has done a commendable job in managing the electronic communication in pre-olympiad awareness campaign and during the games. We have received positive feedback from those you were accessing the website for daily updates on the games, from various countries. Team ALISH3 has been working together with AICFB in the preparation of Olympiad from almost a year back. The Olympiad was a huge success overall. We look forward for working with you in future.